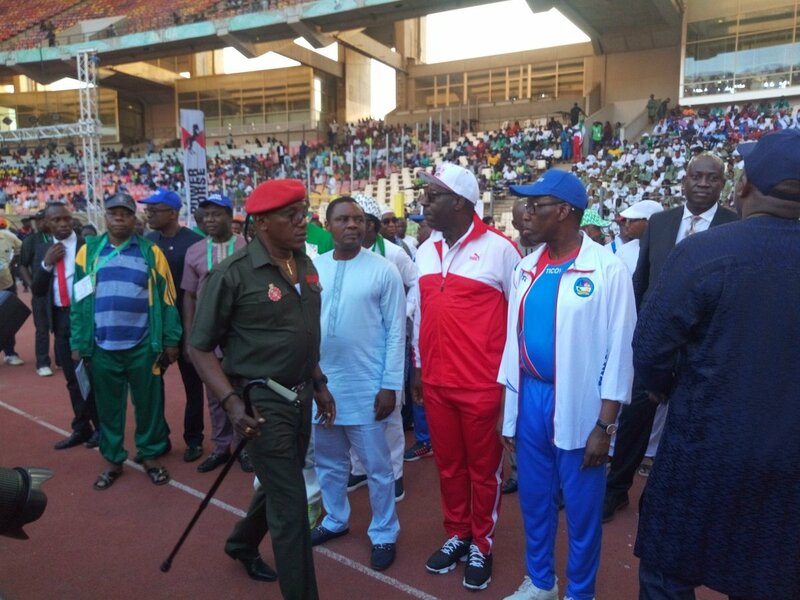 Godwin Obaseki, Governor of Edo State, has said that his government would explore more sporting centres across the state as venues for sporting activities during the 2020 National Sports Festival that will be hosted by the state. Which will mean the abandonment of the traditional hosting of the sports fiesta in a particular stadium, given that the sports facilities in Edo State do not meet the standard the Sports Festival is known for. Vanguard reports that Obaseki disclosed this while inspecting the re-modelling work at the Government Science and Technical College (GSTC), formerly known as Benin Technical College, in Benin City. “I am going to inspect what the school has in its sporting arena. We are hosting the National Sports Festival in 2020 and we need venues for the events, so we want to see if we can rebuild the swimming pool here, the lawn tennis court and even the race tracks,” the Governor said. Meanwhile, the National Council on Sports is holding a week-long extraordinary meeting in Benin City, the first since Edo State was given the hosting right for the 2020 National Sports Festival. Reports revealed that a review of the 19th National Sports Festival hosted in Abuja will top the agenda of the meeting, while the status of Beach Volleyball, zonal eliminations for team sports, sports for the next festival and medical guidelines will form subsequent discussions. Other issues expected to be discussed include the proposed date for the 20th National Sports Festival and inspection of facilities.